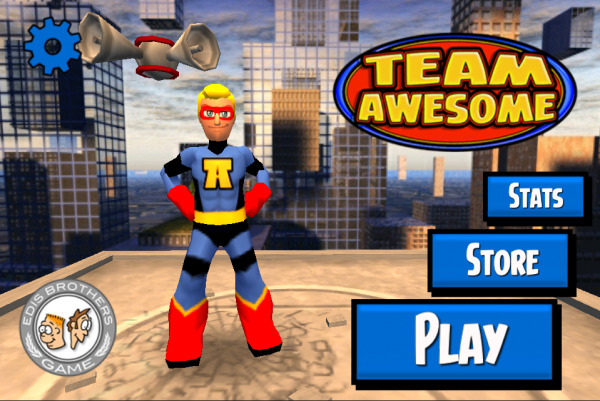 Team Awesome is action platformer based upon some of the principles of endless runners. I would not classify this as an endless running game as there are set episodes or levels to complete, however you do keep on running throughout each level. 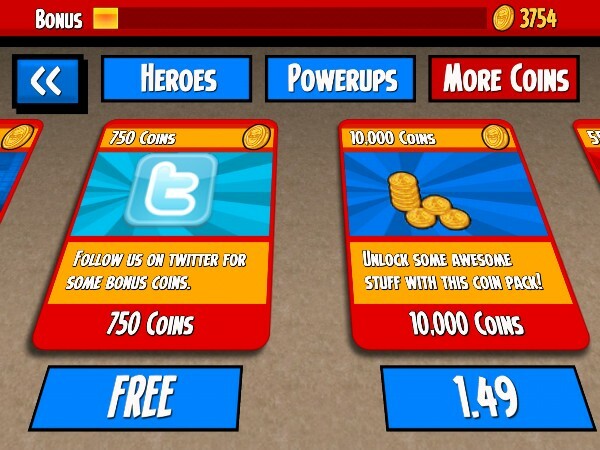 There are two version of this game available, the free version which has ads, or the paid for no-ads version. The ads in the free version are not too distracting, however I have seen ads for slots and casino games, so if you have young kids sharing your device and it's not locked for installs you may want to consider the paid version just to avoid getting these ads. For both versions there are in-app purchases for batches of coins which can be exchanged for new characters, power-ups and boosters. This is a game, bordering on the awesome for it's genre, it really is addictive to play just because it is so easy to spin through the levels or start over with a new game with little pause. Some of the levels require some work and practise to attain 100% of the missions and so many times you'll find yourself nearly there that you just have to give it one more go to try to get that 100% finish. Experienced gamers will probably find this game a breeze and I would say it is targeted towards a younger audience as the difficulty is easy-medium generally, although it does get harder as you get into the higher levels. At the time of writing there are 34 episodes available in the free version, which should keep the average gamer happy for a good few hours. The earlier levels are pretty easy, but after you get past episode 15 you'll soon find the missions a lot more challenging. It's great for my kids (aged 4 and 7) as it's one of their first games to pick to play whenever that find my iPad lying around. The graphics and sound are excellent. 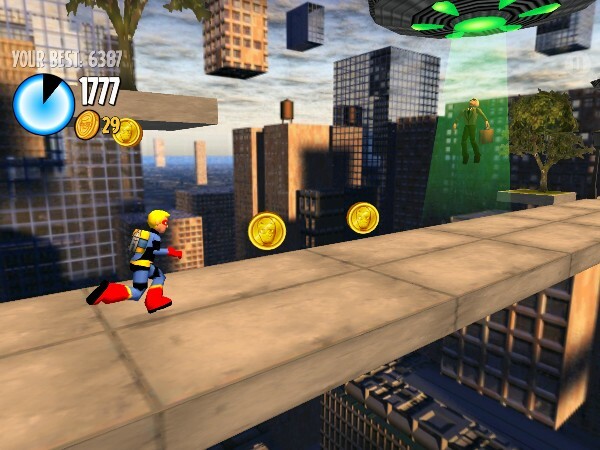 The game has great and humorous animation and the super-hero themed background music fits in perfectly with the game. There really are some chuckle-worthy moments in the game if you play through you'll see them, they won't be as funny if I write about them here. All in all, this is worthy download, either the the free one or paid one, which is very cheap anyway and worth it just to avoid some of the ads if you have kids sharing your device. Don't forget to check out our strategy guide for this game which takes you through the first episodes and gives some hints and tips for completing 100% of the missions for the first 20 episodes. From the creators of Crossy Road… Cherries ..
Loop Drive is a simple but challenging driving/racing ..
Full retina display support. Tested on iOS ..
Use your jumping skills and time your landings ..